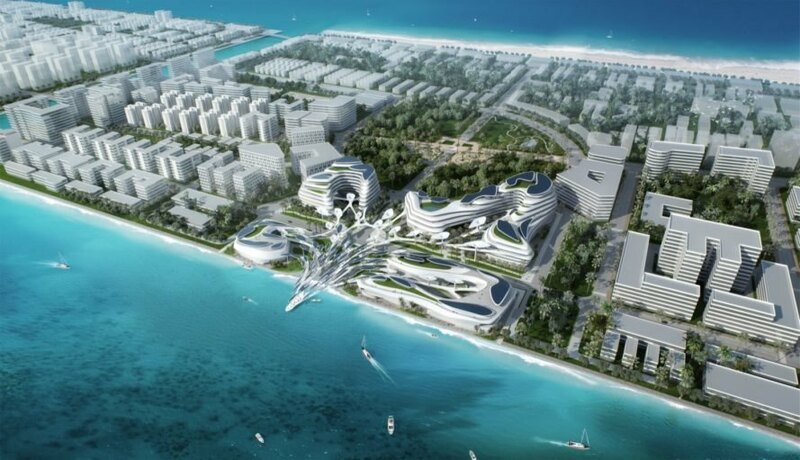 Beijing and New York-based design studio CAA Architects has placed first in the “Maldives Airport, Economic Zone Development” competition with their design of a futuristic, energy-producing eco-city on the east coast of the reclaimed island Hulhumalé, Maldives. 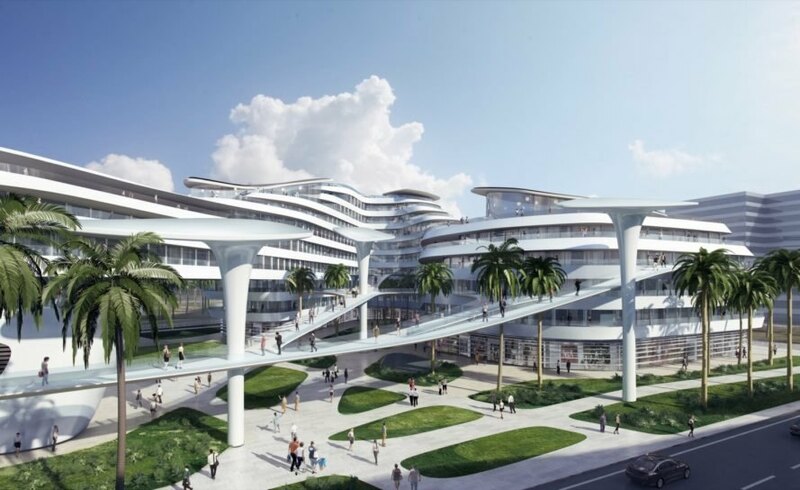 Named Ocean’s Heaven after its nature-inspired design connecting the ocean with the city, the project features striking, sinuous buildings covered in green roofs and solar panels and will be capable of producing almost all of its own energy on-site. Commissioned by the Beijing Urban Construction Group Co. in partnership with the Maldives central government, the eco-city is yet another example of China’s increasing influence over the archipelago country. Global warming and rising sea levels are serious concerns for the Maldives, a tropical paradise famed for its pristine beaches and aquamarine waters. In response to the climate change threats and to celebrate the island country’s natural beauty, CAA Architects crafted Ocean’s Heaven with organically inspired buildings integrated with energy-producing systems to reduce reliance on fossil fuels. The mixed-use development will cover nearly two-thirds of the 100,000-square-meter site and include residences, an airport company service center, international trade center, convention center, island transport hub, shopping centers, a business hotel, dining, along with a centralized cultural center that will serve as the island’s “nervous system”. Ocean’s Heaven will promote high-density urban living and public transportation that includes both surface and water commuting. Ample green space, including sky gardens, will strengthen the community’s ties with nature. In addition to the solar photovoltaic arrays mounted on the buildings and the sculptural canopy elements along the boardwalk, Ocean’s Heaven will also draw power from tidal waves to generate over 70 percent of the electricity needed to power the development. Rainwater harvesting and passive cross ventilation are also woven into the design. The project, which will be carried out in two phases, is slated for completion in 2021. The innovative CAA architects won first place in the Maldives Airport Economic Zone competition. 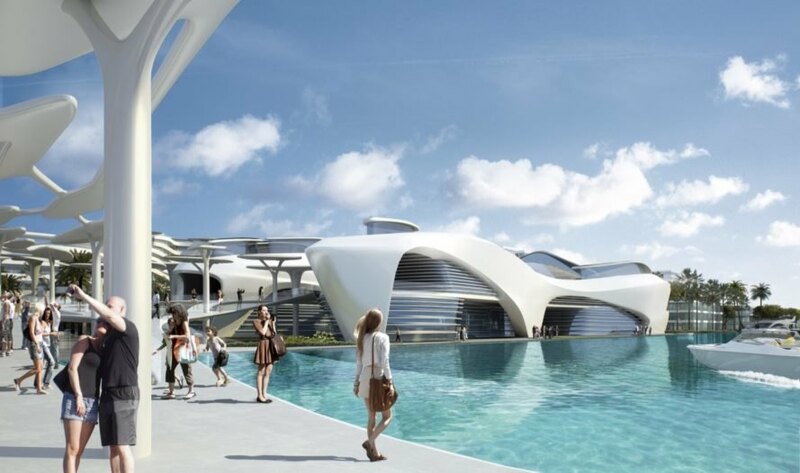 Ocean's Heaven was the proposed development representing culture and ocean systems with renewable energy. The project was aimed to create a sustainable model before the Maldives disappear. The project was designed with ecological energy supplies. The winning proposal will consist of an airport, trade center, convention center, island transport, hotel, retail and dining. The project fuses high-density urban living and productivity. The islands would double as an urban energy incubator. CAA's projects always aim to incorporate architecture, art, environment and culture. 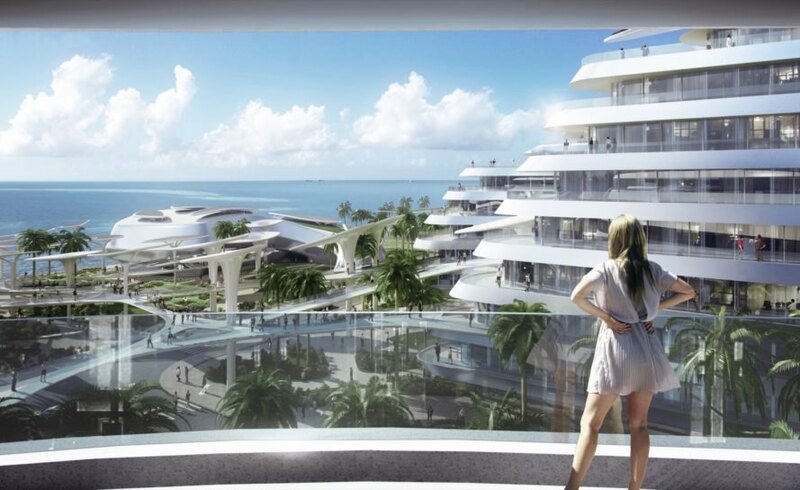 Ocean's Heaven aims to be a landmark for human communities and nature.